Like the wines that bear his name, Adrian Hoffmann has matured into a super-premium Barossa product. Considered one of the region’s most highly regarded vignerons, selling to 27 wine companies, Adrian’s watershed moment came 20 years ago when he was crowned the inaugural Barossa Young Ambassador. 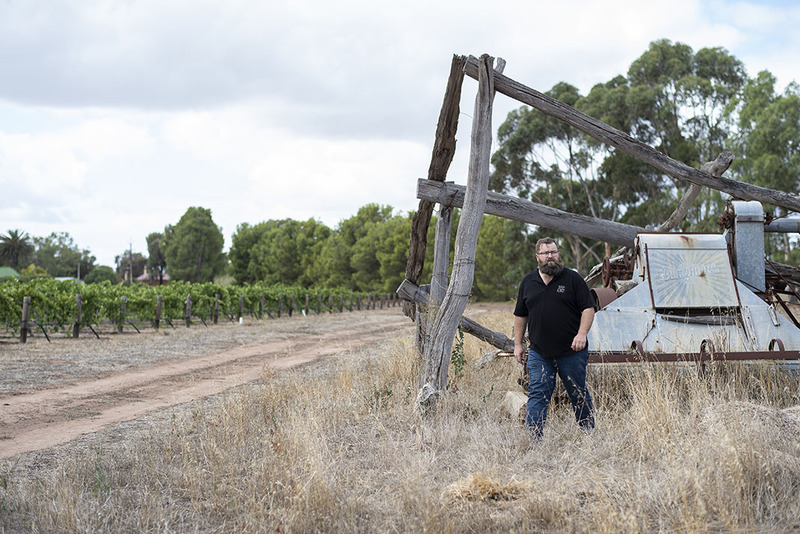 An ingenuous 23-year-old at the time, the experience crystallised his understanding of the wine landscape and what it meant to be custodian of the Barossa’s wine heritage as a sixth generation landholder at Ebenezer. 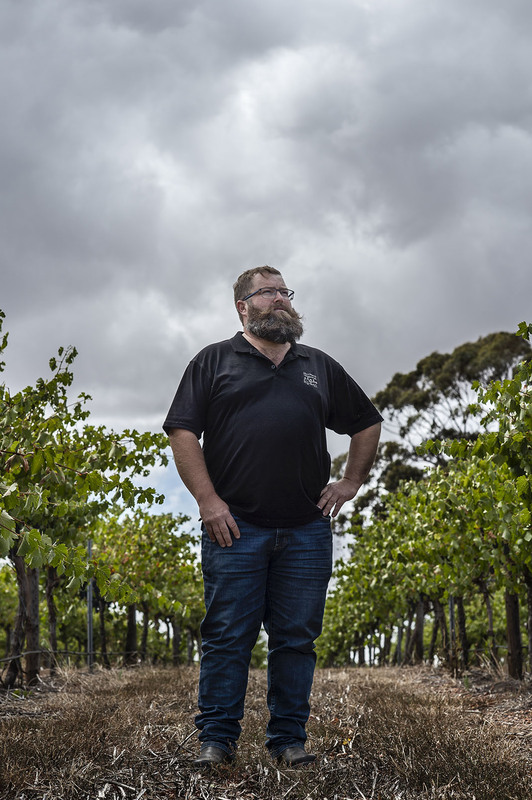 “The programme turned me from someone who just grew grapes into someone who was involved in the wine tourism industry – it showed me the tapestry of the Barossa,” Adrian says. “Until then I didn’t know much about what happened behind the scenes – it was a learning curve in how our food culture, wine culture and tourism are intertwined. 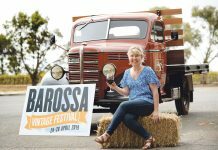 At the time, the transition from the much-loved Vintage Queen tradition to the Young Ambassador initiative was seen by some as controversial, but Adrian says it brought “substance” to the Barossa Vintage Festival programme. And while it was the making of Adrian, he also brought something unique to the table with his unabashed – and often unapologetic – beliefs. “I’m definitely not handy with penmanship but I have a bit of the gift of the gab, and that does take you a long way,” he laughs. “I can be a bit rough and a bit brash, but what you see is what you get. 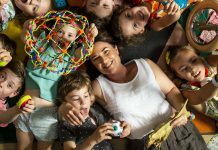 “The authenticity of what I was delivering – I think that’s what they fell in love with. “I talked about what I do every day, living and breathing this industry, and I genuinely believe we are the luckiest people in the world to live where we do. Adrian’s prize, which included a ticket to the London Wine Trade Fair, revealed to him that the Barossa wine industry was in fact “much larger than the Barossa”. “I realised it wasn’t McLaren Vale versus the Barossa, or SA versus Victoria; it’s Australia versus the rest of the world, and New World versus Old World,” he says. 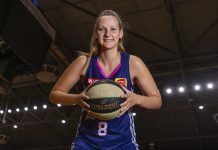 “It changed my perspective of what the industry should be and I saw there were so many more opportunities out there than the ones I had been seeking. On the back of the experience, Adrian set about reinventing his family’s sixth generation enterprise, which has been continuously farmed since 1857. He expanded the Dimchurch Vineyard landholdings to 135 hectares and grew his customer base from four wine companies in 1999 to over 30 in 2017. 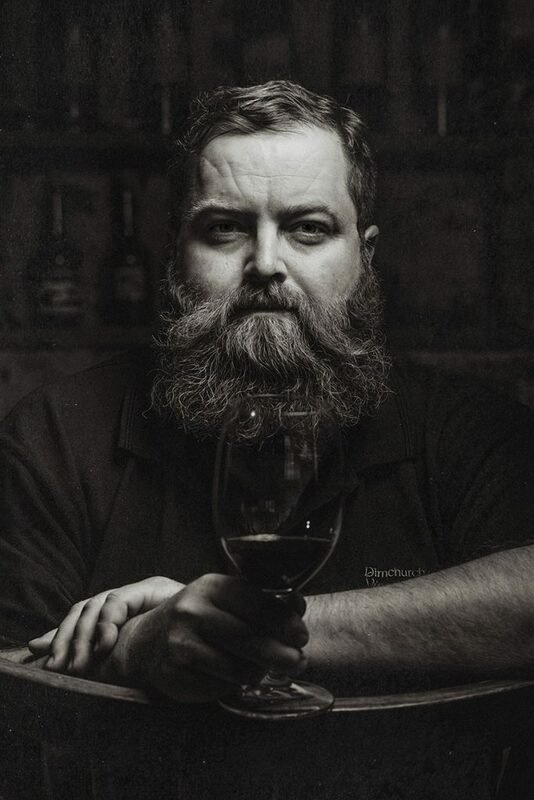 Adrian himself works closely with winemakers to deliver premium fruit and is closely involved in all aspects of production, from picking selections to blending and barrelling. “For me, it’s all about the relationship with the winemakers – I refer to myself as a wine grower rather than a grape grower,” he says. “I understand my soil types and grow fruit for specific wine styles. It’s for this reason Adrian, a father-of-three himself, chose to accept his Barons of the Barossa ‘Grapegrower of the Year’ honour alongside his father, Jeff and grandfather, Gordon. “We wouldn’t have what we have if not for the previous generations and what they gave us and what they sacrificed,” Adrian says. “I like the idea of forging ahead and being modern, but always being aware of the passion and where you came from. 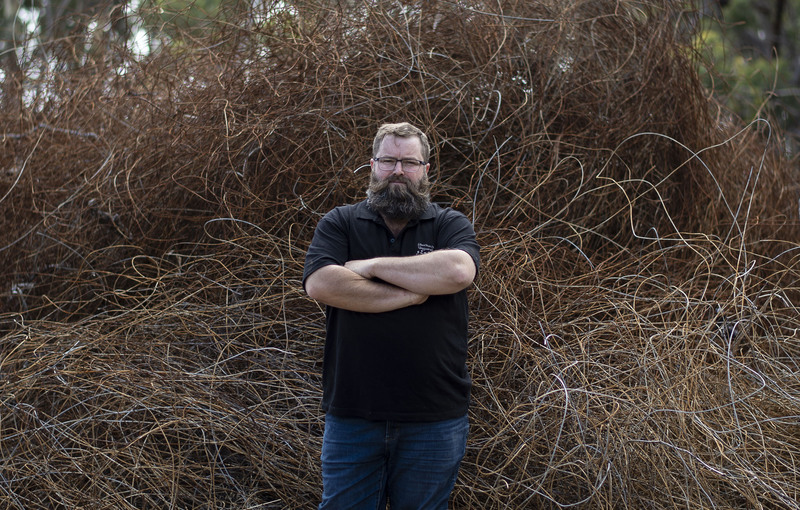 Equally, Adrian is an advocate and adviser to others in the industry, amid concerns of Barossa land being carved off and “sold to the highest bidder”.